Barra Honda National Park is a national park in the western part of Costa Rica, which forms part of theTempisque Conservation Area about 12 km (7.46 mi) from the Tempisque River. It was created in 1974 to protect its famous cave systems, under the Barra Honda Peak which was formed when islets from the Miocene Era were raised above the plains of the river. The caves and waterways there today were then carved out by the action of rain filtering through the limestone over 70 million years or more. The calcareous formations of the limestone caverns at the Park are the main visitor attraction, which are only estimated to be 50% explored. The park has a Ranger Station which is open for visitor attention from 8am to dusk, and has potable water and restrooms. 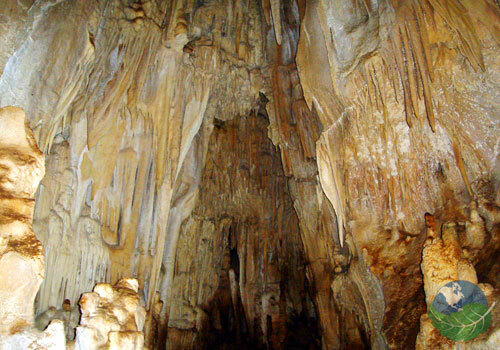 The number of caves discovered on Barra Honda Peak was 42 in 2005, which were rediscovered during the 1960s and 70s. They include Nicoa, where pre-Columbian human remains, artifacts and jewelry were found dated to approximately 300 BC, and Santa Ana, the deepest cave known in the complex which is unusual for its unique and numerous stalactites and columns. Various colonies of bats roost within the cavern system. In March 1997 approximately five percent of the park was devastated by a fire, several other national parks in that same year were also affected. Costa Rica's National Commission of Forest Fires (CONIFOR) reported that efforts to suppress fires were hampered by smoke obscuring locations that were in danger of getting out of control, as well as problems with communication and transport and an overall lack of firefighting equipment. On June 11, 1997 anOFDA funded commercial flight carrying appropriate tools and equipment was sent to several nations hit by similar fires in the region, the cargo being funded by a grant from the USFS towards fire suppression efforts.